Ask A Doula: Why Would I Hire A ‘Stranger’ To Be With Me In the Delivery Room? 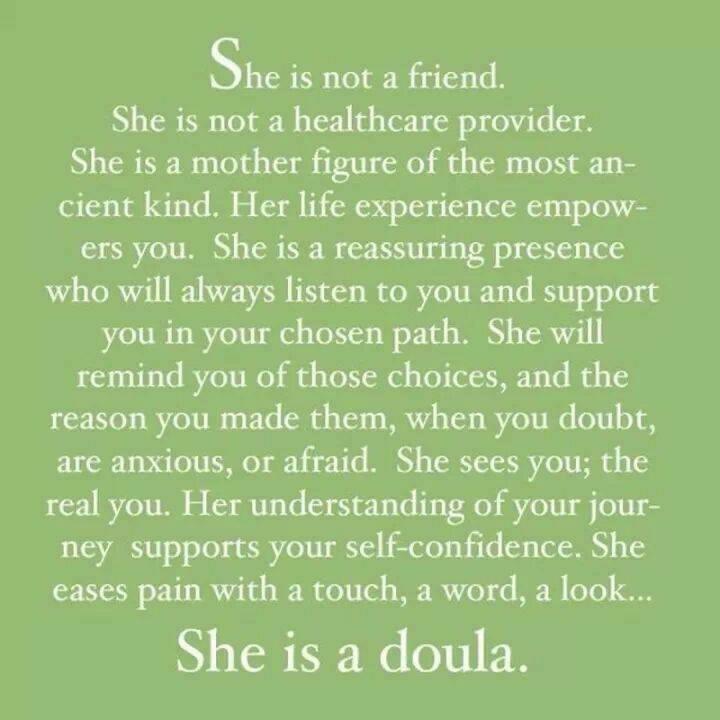 I have heard this, or similar sentiments expressed on a number of occasions after sharing with someone that I am a Labor Doula. Let me tell you something: I could not agree with you more! Labor is the most thrilling, joyous, terrifying, intimate, amazing, exhausting and life-altering experience that many of us have ever, or will ever experience. It is a time when a woman needs to feel safe, secure, cared for, and empowered. She and her child are on a journey that they alone are experiencing firsthand. No one else has experienced her contractions, her determination or her love for that child. So, let’s think about who is present in a normal vaginal hospital delivery (According to the latest CDC study only 1% of American women deliver at home, so this will represent most women). You have a large team involved in the safe labor and delivery of your little bub. Some that you will have had the opportunity to meet ahead of time, and some that are your brand new BFFs. Let’s take a look at all the different people who will see you naked… I mean, be a part of your birth team! Your Obstetrician or Midwife. If you go to every Prenatal exam (which you definitely need to do) starting at 9 weeks (usually the earliest they will see you) up to 40 weeks, that gives you between 12 and 14 office visits before your big day. You will probably split those visits up between your Doctor/ Midwife and the Nurse Practitioner/ Physician’s Assistant. So, that is about 7 visits with your chosen Care Provider (less if they are part of a large Provider Group that shares patients). Even though you may spend an hour at the Doctor’s office, we all know that you are actually getting about 10 minutes of face time with your Provider. So, with that in mind we are looking at about 70 minutes with your Doc pre-delivery. The caveat to this, is that sometimes the Dr. you chose is not even on-call when you go into labor. In that case, you may end up with someone you’ve never even met being the Provider who delivers your sweet babe. You should discuss with your Provider ahead of time who goes on-call for them when they are unavailable, and if you will be able to meet the other Provider(s). Also, check if your Doc has any vacations scheduled around your due date. Don’t let a strange Doc in the room be a surprise! Your Labor Nurse. 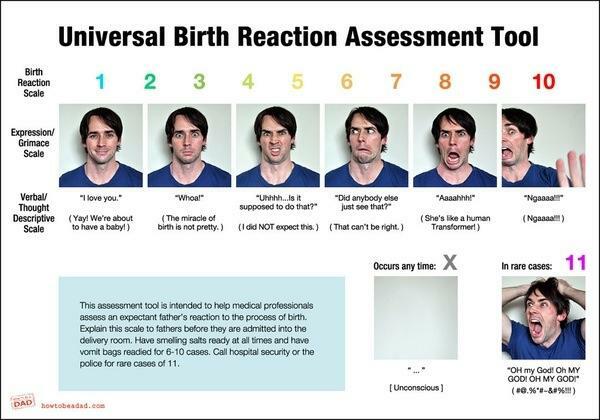 This is your primary care giver throughout labor and most of your pushing. (S)he is the one who will be in charge of your well-being. (S)he will start your I.V., be your medication provider, ask you all of those probing questions, and be your advocate with your Doctor. There are just a few things you may not be prepared for. First, you are not her only patient. She probably has one more laboring mama she’s caring for, and if she is covering for another RN (while they quickly eat and potty), she may be keeping an eye on one or two more. Second, these angels work 12 hour shifts which means they are running around for half a day making sure you and baby are safe. At the end of those twelve hours you are given to a new Nurse who will have you for the next 12 hour shift. If you have a longer labor, you may have 3 or 4 different Nurses providing your care. Third,with all of the work they are required to do, most studies put them actually in the room with you for only about 25-30% of your labor. That is a significant amount of time you are laboring with only the support team (your partner, friend, mother, etc.) you brought with you. Let’s take a look at your support team. This is usually made up of your partner, your immediate family, and/or your closest friends. In many cases, you are only allowed three other people in your labor room. Mainly because the Nurses and Doctors need to be able to get to you quickly and easily if there are any issues that come up with you or the baby. So, we are going to assume a few things. First, that your partner has been with you at your 6 to 12 week-long childbirth class. They have learned all of the ways to best support and comfort you during labor. They anticipate and meet your needs. They are understanding of all the ways you are communicating with them (usually it is breathing, body language, and primal vocalizations, NOT words). They also understand all of the things that are happening around you. They know what all the machines do, and why they are beeping. They know when to get the Nurse involved, and when to dig in and support you through sensations that you have never experienced before. They keep a cool head and help you to remember that the pain does not control you, even when it feels like it is all consuming. The problem is, you’ve never had this experience before. Even if you’ve delivered 10 babies, you’ve never delivered this baby with your current body before. This can mean that your partner/ mother/ friend who loves you and your child is confronted with an unknown factor… what you need in this pain. This can throw even the most involved and level-headed partner into a major stress they have never experienced before. They want to help. They want both of their loves (you and that baby) to be safe, happy, and comfortable. They just get a bit overwhelmed and may not be able to focus fully on you because they are managing their own stress. Bless ’em! Who is helping them cope with their stress appropriately? Who is reminding them that they know you and your needs better than anyone else? Who is empowering them to be the best birth partner they can be? Oh, that’s something Doulas do! So, let’s talk about how well clients get to know their Doula before the big day. I usually like to have at least 3 meetings with my clients before they reach 38 weeks. If they contact me earlier in their pregnancy, that can increase as needed. Our meetings last a minimum of an hour, but depending on what questions and concerns my client has, they have been known to last up to three hours. If you want me to attend childbirth classes with you, we’ll obviously get more time together. During our meetings, not only are we preparing for the birth you want, but we are getting to know each other, as well. I help my clients walk through what they want in their pregnancy, labor, delivery, and their first hours, days, and weeks as a family. This is a very intimate time, so we tend to get to know each other pretty well, pretty quickly! That means that you will probably spend at least 3 hours with your Doula. That is twice the amount of time that you get with your Doctor, or you may end up with a Doctor you have never met before. You’ve likely never met your Labor Nurse before that day. While you known your partner ahead of time, knowing how they will react in this situation can be difficult to predict. We, as Doulas, are here to be a part of your birth team. We are trained to emotionally, physically, and educationally support the mother during labor, delivery, and immediately after the birth. We do not take the place of your partner. We empower them to meet your needs (and we also know what those machines are, and why they won’t stop beeping). We cannot provide your medical care, but strive to help you have the knowledge and support that you need to make informed decisions, during a stressful and exciting time.